I know the Army says it is on top of this matter now and committed to fixing the problems. But you and I both know it should have never reached this point. 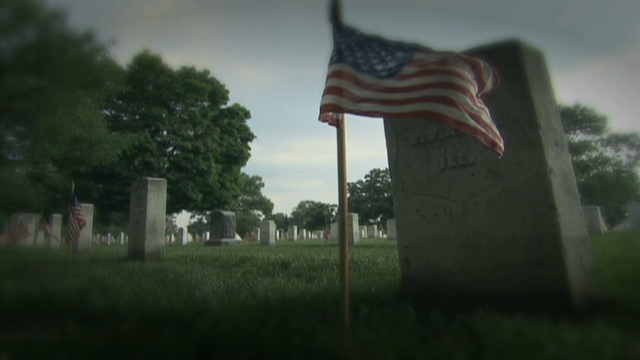 Reporter's Note: A scandal at Arlington National Cemetery is probably the last thing President Obama wanted to hear about. But problems, like my letters, sometimes arrive when you least want them. I don’t really care what happens to me after I die. I’ve thought about it from time to time, of course, and I’ve had a few funereal inspirations. It would be nice if someone played St. James Infirmary on the piano, maybe with a trumpet too. (Um…probably not the same person, however. That would get a little carnival-ish.) I’d like to have some poetry read; maybe Grass by Sandburg. Or the Cat in the Hat, by Suess. And snacks would be good. But beyond that, I don’t have much of an opinion about the matter, and when it comes around I suppose I’ll have even less to say. Funerals and burials, I think, are more about the living folks than those who have passed on anyway; it’s how we express our grief, respect, and remembrance of those we have lost. Which is why this mess out at Arlington National Cemetery is so tragic. You know that I have only the greatest respect for people who put on uniforms to serve our country, and I have a soft spot for military families, since I grew up in one. I think what they do can be unbelievably tough, and heaven knows for many of them that has been particularly true in recent years. The least we can do as a nation is hold up our part of the bargain.